Definition at line 25 of file CCopasiXMLParser.h. Definition at line 32 of file CCopasiXMLParser.h. Definition at line 22 of file ListOfUnsupportedAnnotations.cpp. Definition at line 32 of file ListOfUnsupportedAnnotations.cpp. Definition at line 92 of file ListOfUnsupportedAnnotations.cpp. References CCopasiXMLInterface::character, CCopasiXMLInterface::encode(), CCopasiMessage::EXCEPTION, MCXML, CExpatTemplate< CExpat >::mParser, START_ELEMENT, and UNKNOWN_ELEMENT. 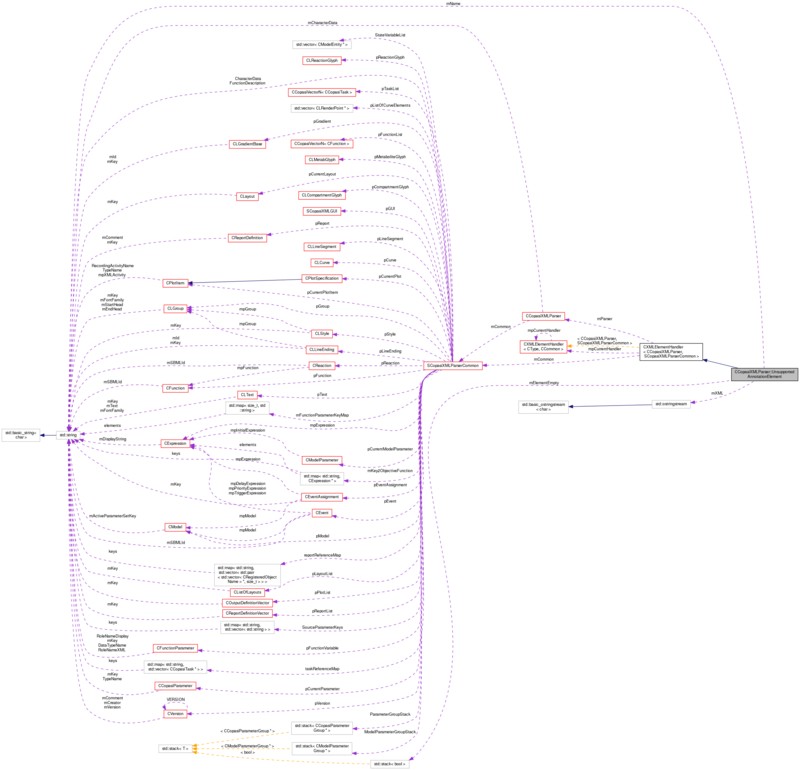 Definition at line 176 of file ListOfUnsupportedAnnotations.cpp. Definition at line 181 of file ListOfUnsupportedAnnotations.cpp. Definition at line 36 of file ListOfUnsupportedAnnotations.cpp. 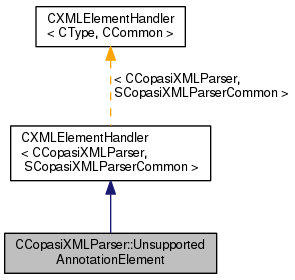 References CCopasiXMLInterface::attribute, CCopasiXMLInterface::character, CCopasiXMLInterface::encode(), CCopasiMessage::EXCEPTION, MCXML, CExpatTemplate< CExpat >::mParser, and UNKNOWN_ELEMENT. Definition at line 96 of file CCopasiXMLParser.h. Definition at line 91 of file CCopasiXMLParser.h. Definition at line 81 of file CCopasiXMLParser.h. Definition at line 86 of file CCopasiXMLParser.h.